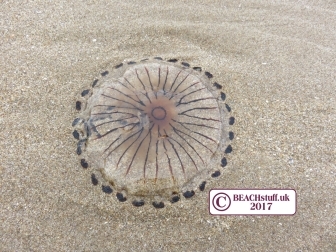 We learn a huge amount from people like you who walk our beaches and see our wildlife. There are a number of agencies waiting to hear your reports. 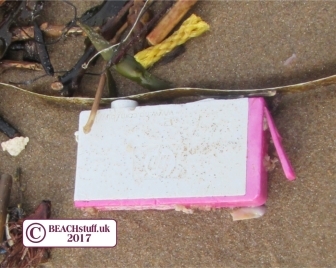 From whales to mermaid's purses; seals to seaweed, please help by reporting what you have seen. Where possible, please take photographs, please take basic measurements if you can or put something in the photo for scale - perhaps your foot. It's not just about wildlife, click here for non-wildlife finds. 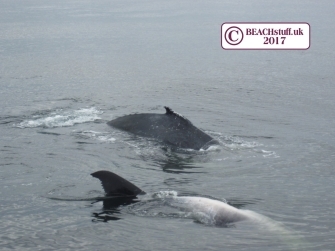 If you are lucky enough to see a live whale, dolphin or porpoise in UK waters, please take the time to report it. 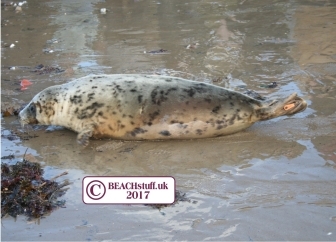 For beached or injured animals, please click here. 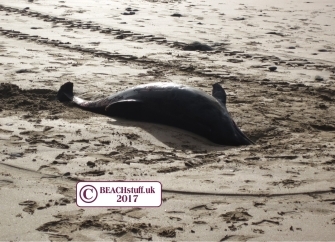 If you see a dead dolphin, porpoise or whale, please report it as soon as you can (even if you're not sure which it is). Call the CSIP hotline on 0800 6520333 with as many details as you can - when and where you saw it, how big it is, what it looked like etc. Turtles only coming into UK waters rarely but have turned up alive and also dead on the streadline. if you do see a turtle alive but injured or unwell, please contact one of the agencies listed here. 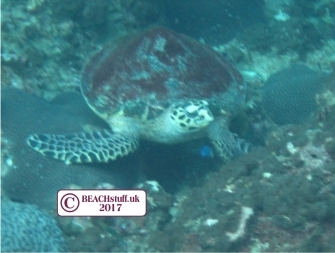 If you see a dead turtle or one swimming happily at sea, please tell the good people at the Marine Conservation Society who can learn alot about your sighting. 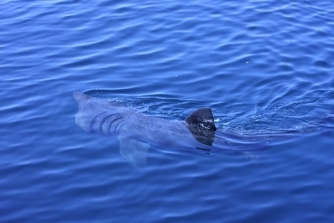 Basking sharks are those ones with huge mouths which are always open to take in sea water which they sift for plankton. They are harmless to humans. If you are lucky enough to see one, please fill in this form to report your sighting. No matter what species of jellyfish you have seen, the Marine Conservation Sociey would very much to hear about it. 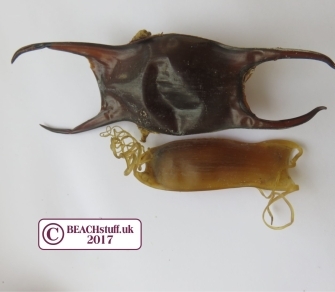 If you find the eggcases of a shark or ray, please tell the Sharks Trust about it by filling in their online form. Learn more about mermaid's purses here. Ypu can help out the Natural History Museum in their Big Seaweed Search. They give you full instructions in how to survey seaweed and report your findings. FInd out more from them here. 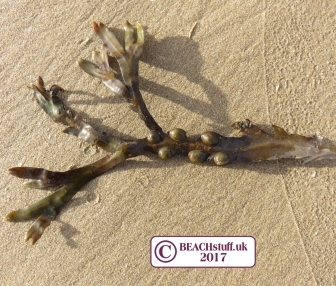 Learn more about seaweeds here. And don't forget to tell us! 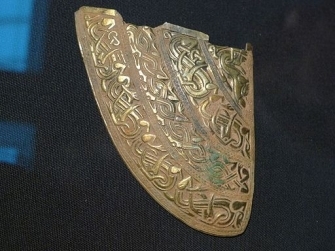 We'd love to hear about all your finds too! No matter what it is, please send us pictures and details and we'll put them on this website. Don't keep it to yourself, share it! 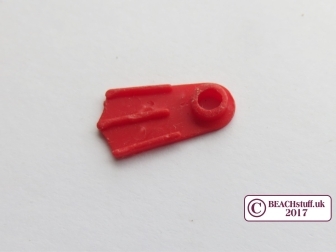 If you find any of the nautical-themed Lego, you can tell the Lego Lost at Sea facebook group all about it. They particularly love to see photos of you with it. Join the group here. Read more about the nautical Lego here. 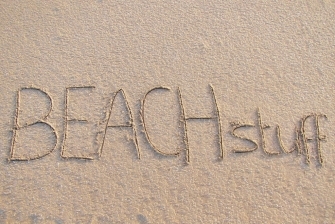 Have a look at our page on the sorts of things that are turning up on our beaches here. The Lost at Sea facebook group logs some of these types of finds anf loves to see you photographs. Found something you think might be very old? The Marine Antiquities Scheme enables you not only to record your find but also learn more about it. Find them here. Science are asking for various tags to be returned to them. 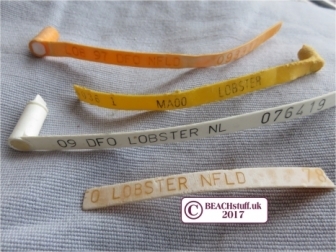 They tag fish in experiments to record fish behaviour, growth and fishing catch rates.Most of the commercial species have been subject to tagging on all major fishing grounds. They offer rewards for some returns. 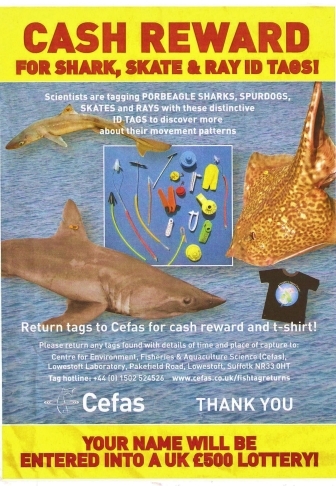 More details on what tags they want returned and the accompanying information they need is available here on the Cefas site.